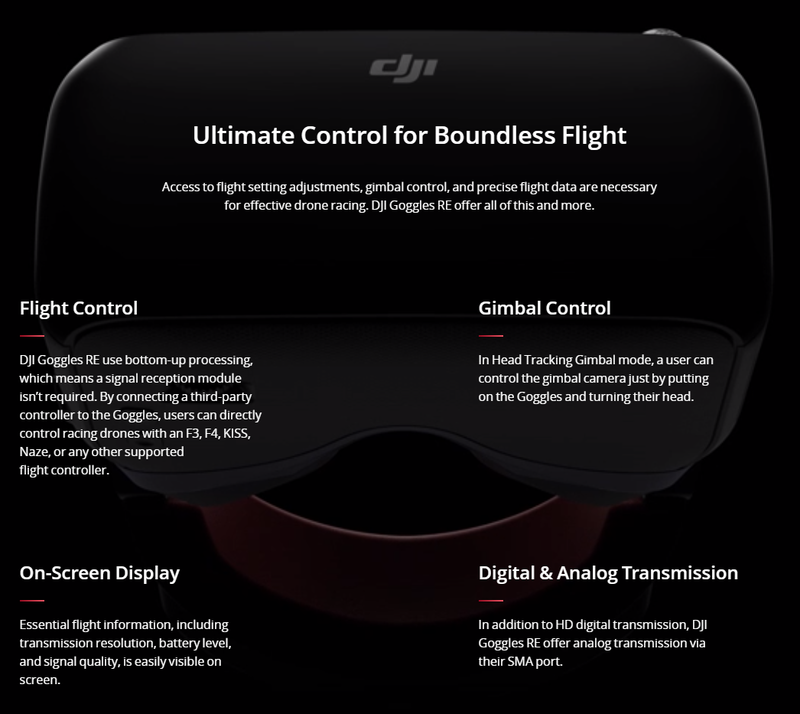 DJI Goggles just got better looking and more powerful, so you can experience FPV racing in style and without traditional restraints. DJI Goggles Racing Edition (RE) feature a redesigned metallic matte black visor and headband, along with padding covered by high-quality red leather. 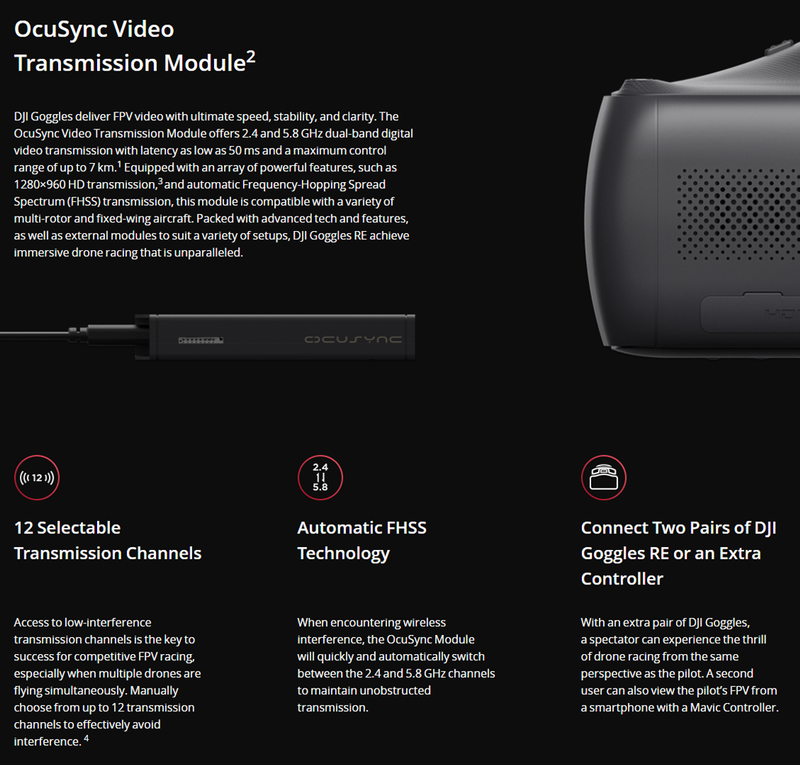 Precisely engineered for racing, DJI Goggles RE are compatible with an OcuSync video transmission module and a high-performance camera module, which work together to transmit digital video signal from up to 7 km away with latency as low as 50 ms,1 in addition to analog signal. Fly with smooth, clear video and experience the thrill of drone racing like never before. 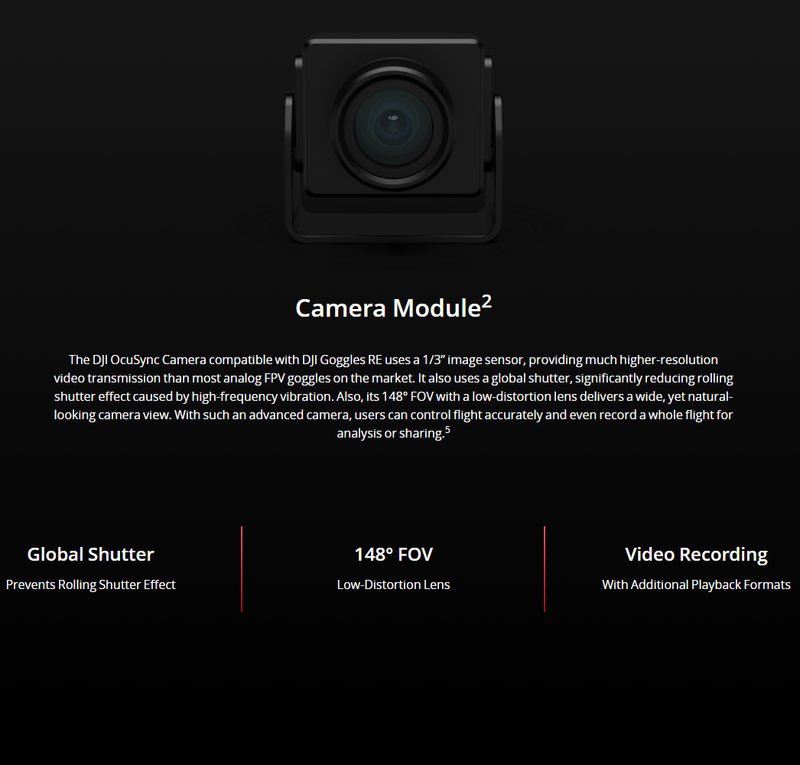 Compatible with the Mavic Pro, Spark, Phantom 4 series, and Inspire 2, DJI Goggles RE inherit all the great features of DJI Goggles, including full flight setting control, two high-resolution screens, Head Tracking, and more. In addition, an optimised facial pad and head band offer added comfort and improved light blockage.